Hi…I was so happy to see the view from our balcony—only natural beauty and no smoke fumes coming from between the trees. This is a rare sight, I must tell. Our house lies beyond the Municipal range in Trivandrum, Kerala. In this area, people in stand-alone houses burn their household waste in the open. This practice is so prevalent that it can potentially be a major air pollution issue. Further, it is not so only in the areas outside the Municipal range. Even in the main city, this practice is followed. Even though it is an age-old practice to burn waste in the open, the issue becomes serious in today’s times as waste has a dangerous mix of wet items and plastics, among others. When burnt in open conditions, it releases gases and particles – it can adversely affect the respiratory system and contribute to global warming, respectively. The more the practice is followed, the more implications it will have for public health as well as environment. It needs to be replaced by an alternative waste management strategy. The question is that how can individuals be convinced to change to an eco-friendly waste management way? The municipal corporations or gram panchayats need to step in. Waste segregation, and thereafter, collection and disposal, is the way out. A ‘carrot and stick policy’ will help. While the first step needs to be performed at the household level, the remaining two steps must be performed by public sector, private sector, or both. Both, public and environmental health need to be accorded top priority. When the national emphasis is rightly placed on “Swachh Bharat”, thanks to our PM, we need to have a “Swachh Trivandrum” as well. Can India go the Europe way in waste management? Less than 1 per cent of Swedish household waste was sent to landfill last year or any year since 2011. Germany recycles more than any other country Germany has the best recycling rate in the world. Austria comes in second, followed by South Korea and Wales. All four countries manage to recycle between 52% and 56% of their municipal waste. Switzerland, in fifth place, recycles almost half of its municipal waste. Plastic Ban: What India Can Learn From Other Countries Currently, India generates around 56 lakh tonnes of plastic waste annually, where Delhi alone accounts for 9,600 metric tonnes per day. Currently, cities including Delhi, Mumbai, Karwar, Tirumala, Vasco, Rajasthan, Kerala, Punjab and now Madhya Pradesh to name a few have the ban on the plastic bags in place. But, its enforcement and effective implementation is an issue. France passed a ‘Plastic Ban’ law in 2016 to fight the growing problem of plastic pollution in the world which states all plastic plates, cups, and utensils will be banned by 2020. France is the first country to ban all the daily-usable products that are made of plastic. The law also follows a total ban on plastic shopping bags. The law aims at cutting the usage of plastic bags in the country by half by 2025. Rwanda, a developing country in Africa is plastic bag free since 2008. Sweden is following the policy of ‘No Plastic Ban, Instead More Plastic Recycling.’ There is one simple reason behind this – Sweden has world’s best recycling system. Mostly all the trash in Sweden’s system gets burned in incinerators. Ireland passed a plastic bag tax in 2002. Within weeks of its implementation, there was a reduction of 94 percent in plastic bag use. And, now plastic bags are widely unacceptable there. China instated a law in 2008 to deal with its growing plastic woes. China made it illegal for stores (small or big vendors) to give out plastic bags for free. End result, after two years of the law implementation, usage of plastic bags dropped by a whopping 50%. Thiruvananthapuram’s two faces of sustainability…! Growing environmental awareness on one hand, evident by markings on roads and public places…while fumes smelling of mixed garbage, emanating now and then from between the lush green cover…these are the two contrasting scenes as one travels around Thiruvananthapuram (or Trivandrum), the capital city of Kerala. 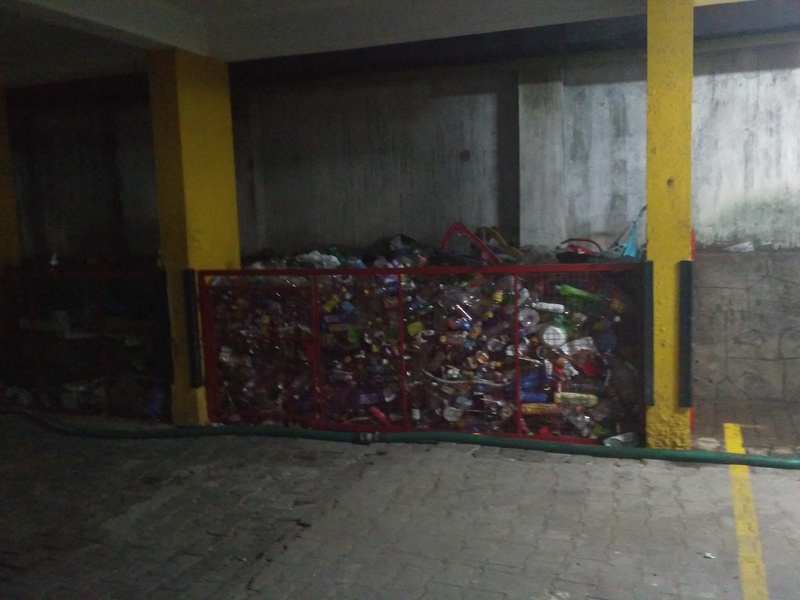 These developments show that even though waste management in Thiruvananthapuram is not ideal, the city still has a chance to save itself from going down the way, like most other Indian metros… It can still be a city NOT weighed down by its own waste! ‘Smoke’ in Mumbai air – Why and what it means for us! Startling it may be for most of us who live here in Mumbai. but we may be ignoring it in our daily chores – Whenever we check weather for the city (in any app – Google, Lenovo, iPhone), it shows temperature etc. and…’Smoke’. Why are we forced to breathe in smoke, day in and day out? I just went through related posts on the Web. Reasons range from burning trash, vehicular pollution, using coal for cooking, occasional big dump yard fires, industrial emissions and so on. All of this can be curbed with proper awareness and regulations. If this continues, what are the implications for Mumbaikars? Can we take the first step and acknowledge the problem? Next, we can try find out the different reasons behind the air pollution. Finally, we can try on different ways to get the air pollution reduced…! Let’s do something about this.Thanks for reading!